We tend to think about diet mainly in terms of maintaining a healthy physique, however, it’s our brains that work 24-hours a day. Stock up on these foods, for optimum function. How many brain foods do you eat every day? Science has proven that certain nutrients influence cognitive ability and protect against brain disease. These nutrients also help regulate your moods, sleep patterns and can significantly improve your memory. To invest in brain health, pop these foods on your shopping list today. 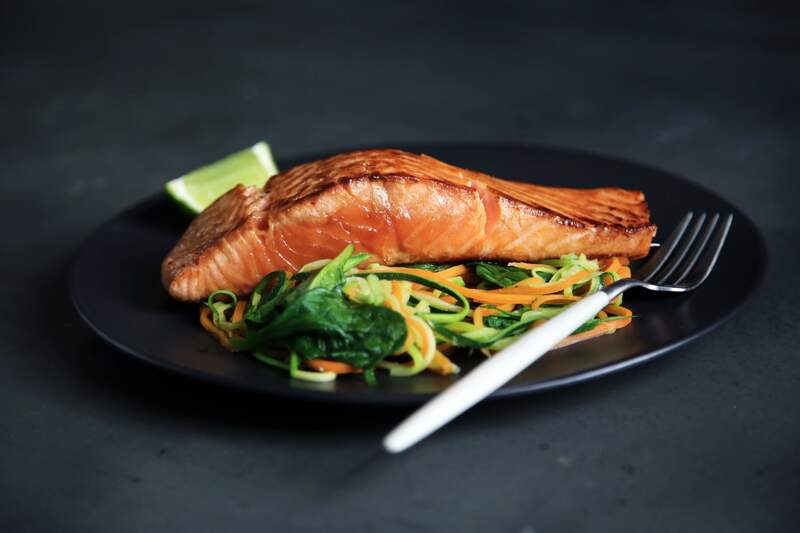 Salmon is a rich source of omega-3 fatty acids for brain health. Studies indicate that low levels of omega-3 fatty acids, like EPA and DHA, have been associated with memory and neurological disorders. Never fear, because salmon is here to save the day. Rich in omega-3 fatty acids, wild salmon is the best choice for brain health, however mackerel and tuna are also good sources. Stimulate the flow of oxygen and blood to your brain in the morning, by adding frozen blueberries to a smoothie, your cereal or take a fresh punnet to snack on at work. Antioxidants, like vitamin C in blueberries are useful in stabilising brain function and offering protection from oxidative stress. If you haven’t jumped on the avocado bandwagon by now, it’s time to start. If you haven’t jumped on the avocado bandwagon by now, it’s time to start, to enjoy an incredible range of benefits. High in folate and Vitamin K, this creamy fruit helps improve your memory and concentration, while helping to protect against stroke. To top it off, avos are packed full of those good fats that keep your skin fresh and glowing. Next time you see ‘smashed avo on toast’ at a trendy restaurant, give it a go for your brain. Are you forever putting your keys down and forgetting where they are? Perhaps it’s time to up your intake of broccoli. Studies suggest that the micronutrient, choline, helps improve your memory and Vitamin K strengthens cognitive abilities, both of which brococci contains. Don’t like the taste? Try making a broccoli soup in the blender, with garlic, onions and a dash of cream to tempt your tastebuds. On the topic of choline, egg yolks also contain large amounts and it’s used to produce acetylcholine, which plays a role in enhancing memory. If you’re still concerned about the cholesterol in eggs, medical professionals now advise you can eat six or seven a week without concern. More often than not, it’s the accompanying bacon that’s the culprit. 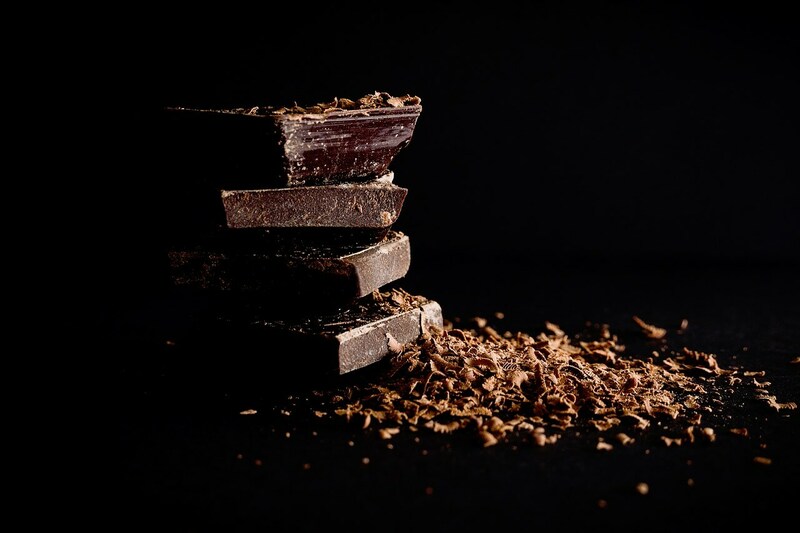 Spoil yourself with dark chocolate and your brain may benefit too! Saving the best for last, by all means nibble on that dark chocolate left over from Easter! You already know that chocolate boosts your mood, but there’s much more to it, than the delicious taste. Go for chocolate that contains at least 85% cocoa, although cocoa in it’s straight up, pure form is best, if you like the bittersweet taste. It’s flavonols that offer the benefits, with antioxidant and anti-inflammatory properties helping to improve blood flow to your brain and, therefore, overall function.